KRABI: -- The national park advisory committee on Tuesday decided to maintain the current entry fee rate charged on foreign tourists at 400 baht for adults and 200 baht for children at Hat Nopparattara- Mu Ko Phi Phi national park. 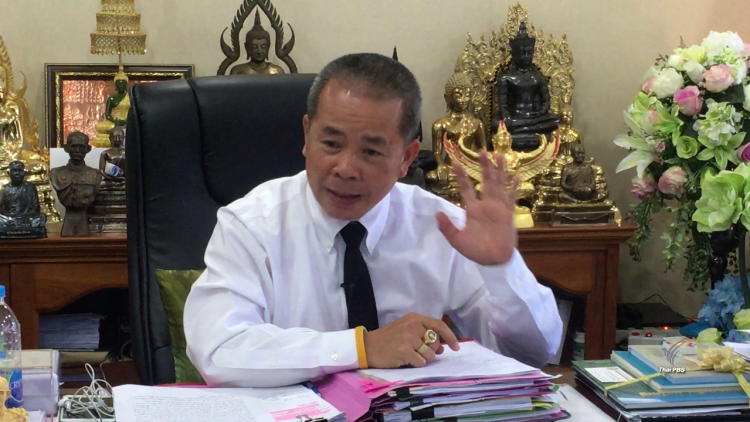 Mr Tunya Netithammakul, director-general of Department of National Parks, Wildlife and Plants Conservation, said the advisory committee however recommended that entry fee collection must be transparent and modernized. It also recommended standard control and the number of tourist boats and the control of the number of tourists visiting national parks. Earlier, about 500 tourist boat operators staged a protest at Hat Nopparattara- Mu Ko Phi Phi national park to demand a 50 percent cut of entry fee for foreign tourists, claiming that the fee is too high and tends to discourage foreign tourists from visiting the park. Mr Tunya said the current entry fee into national parks for foreign tourists has remained unchanged since 2006. Proceeds from the entry fee are allocated to develop facilities in the parks for the benefit of tourists. time to boycott these parks...i hate when people think tourists are just stupid money spenders. Amazing Rip Off........Roll up, roll up. Certainly knows how to control the number ot tourists ! Don't bother going to the parks. Besides most well travelled areas are littered anyway. Let me ask this, what if a Thai family went to the USA and wanted to go to a national or an amusement park and found they had to pay up to 10 times the admission to enter based on their citizenship. Not very nice... is it? Selective pricing like this is illegal in Australia, political correctness no doubt. the problem is that many tourist are JUST that! Proceeds from the entry fee are allocated to develop facilities in the parks for the benefit of tourists. Surprise surprise surprise. Farang rich. All farang rich. Pay more, be happy.